COMMENTS: I love this pumice powder in my hot process soap. 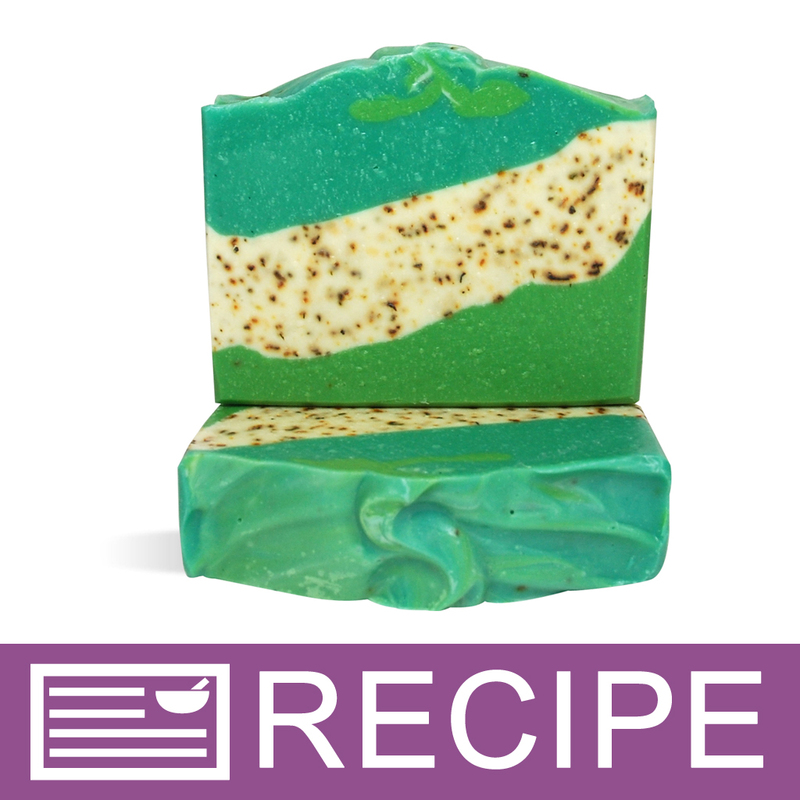 It creates a wonderful exfoliating bar that everyone who has tried it has asked for more. I will continue to use and recommend this product. 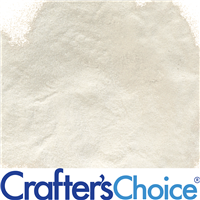 COMMENTS: Wonderful product, very finely ground, and gives beautiful end results. COMMENTS: Used in a face scrub, the very fine grit was perfect. Turned the scrub base, which was purple, to gray. "works great in all my soaps"
"A little too fine "
COMMENTS: I made this in a mechanics soap for my bf. It's a little too fine for mechanics dirty, greasy hands. I think it would be better suited for maybe a foot scrub or exfoliating hand scrub. "Supervise is the way to go"
COMMENTS: I created a CP recipe using this and I couldn't be happier with the texture. My first practice batch came out amazing, minus the fact that I got soda ash (I was rushing and didn't take proper precautions), but my second batch was beautiful. You can't see the pumice because it is so fine, but you can definitely feel it and the perfect exfoliation. "Perfect for hyper sensitive skin"
COMMENTS: I have hyper sensitive skin and it feels amazing on my skin. COMMENTS: in cp makes a great gardeners/mechanics soap. takes quite a bit for scrubs but make a really nice facial "polish"
"Nice addition to face scrub bar"
COMMENTS: I use this in my melt and pour face scrub bar. Even disbursement makes this a must have when adding other exfoliants as well. COMMENTS: It's light and soft, gives a slight scrubby effect. "Pumice Powder - Super Fine for Sensitive Skin "
COMMENTS: I used this in my facial cleanser. It works great as a facial scrub and it's not harsh on the skin. COMMENTS: I think this is a bit more fine grain than I was expecting, but that being said you can still get really good exfoliation! I add a fair amount to a mixed-lye cream style soap and it's a lovely facial scrub. Gentle but still effective. Can't wait to add it to come cold process bars! "Do not add to hot process oils before soap is done"
COMMENTS: I've now learned from 2 failed batches, that unlike CP, when you're using a HP recipe, you add this powder in at the end. If you add it before the cook is completed, it seizes and separates and there's no saving it. I just threw out a whole batch. Same thing happened before when I used sand instead of pumice. It's very effective but only at the end! Learn from my mistake! Great product now that I know what not to do. "Nice and happy it's not toxic like others"
COMMENTS: Great product for exfoliating and a plus is u don't have to worry about possible toxins! Great for a mechanic's degreaser soap bar!! COMMENTS: I didn't know what to expect, but after I first tried it in my hand scrub it worked so good. I am definitely a repeat customer. Thank you! COMMENTS: I like this pumice in working hand CP soap. This is not harsh at all. I have not tried suspending it in liquid suspension base yet, but it is light enough that I am sure it would do fine. I would use again. COMMENTS: Use this for mechanics soaps and shrubs, love it! COMMENTS: I really love this powder when using in hot and cold process. This powder give your soap a great texture and it gently exfoliate your body. "Excellent in Gardener's Soap and other CP soap"
COMMENTS: I use the Pumice Powder in facial scrubs and exfoliating body bars. I make a special facial scrub for my teenage son and it is amazing. COMMENTS: My brother loves this in a pump soap to clean his greasy hands after working on cars etc. COMMENTS: I love how fine this poweder is. I do need to add to oils before adding lye to ensure there is no clumping but once I made this change for my second batch I fell in love. COMMENTS: Works great on dry patches along with clay scrubs. "Perfect light grain texture, mixes well"
COMMENTS: Used this in my weekly exfoliating facial cream and I love it for my sensitive skin! It's the perfect amount and grain of exfoliation needed for delicate skin. Will be buying more promptly to make for family presents! Thank you WSP for another great product! "Finest ground pumice ever! " COMMENTS: Great for mp and face scrubs. I add a little of this to my body wash as well! It is ground so fine that you can't really feel the grit in a body wash but it does exfoliate enough for skin to become noticeably smoother. It also mixes well with MP soap to make a good scrubbing soap for mechanics. "Great Exfoliating Power In This Pumice"
COMMENTS: Soft and fine, giving a soft exfoliating touch to my soaps. COMMENTS: I love this pumice powder! It is not abrasive yet still exfoliating. It is gentle enough to use in a facial soap. I add it to soap along with tea tree oil for it's benificial properties and sage powder for a comforting feeling and to add a natural color. I have had very positive responses to this product in my soaps and will order again. I highly recommend it. COMMENTS: This is the perfect exfoliant for my cream soap face scrubs.It's very gentle while offering excellent scrubbing properties. "facial scrubs with this powder"
COMMENTS: Just use sparingly in face creams it does work well. COMMENTS: We use this for our face scrubs. It exfoliates without irritating your skin. A customer favorite!! COMMENTS: Used in a cold process soap. Gave the perfect amount of "scrubby" texture. COMMENTS: I have been using this in my more recent CP soaps I make. I like the exfoliation factor of the pumice stone grains. it's good to add to oils and blend before adding lye water to avoid clumps. COMMENTS: This pumice powder is great for our facial mask. The texture is vey fine and easy to use. COMMENTS: I thought it was going to be rough when I first purchased it but many of my clients loved that it was rough enough to get the skin to feel smooth as butter. COMMENTS: Gentle, not scratchy, PERFECT for my facial scrubs. Texture is consistent throughout bag. A new staple must-have in my collection. COMMENTS: I use this powder in my liquid soap and cold process soap loved it will order again. "Pumice Powder - Super Fine for Sensitive Skin"
COMMENTS: I made a peppermint foot soap with this, added fine pumice as well. Exfoliates heels and leaves no roughness. COMMENTS: This product is great for people who have sensitive skin. 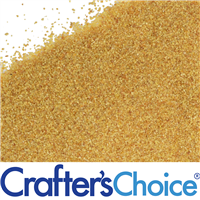 The grains are very small and the product itself feels quite soft. "It's just grit, but it's amazing!" COMMENTS: I use this and regular pumice in soaps and facial scrubs. Super Fine is definitely a finer grain, but they're both pure, almost white, and lovely. Unlike plant-based exfoliators, pumice does not soften up and lose its grit. I add Super Fine to some of my spa bars because it's so gentle and gives the lather a unique -- but not scratchy -- texture. If you purchase only one grade of pumice, the regular might be more useful. However, it's easy to get both at such a great price! COMMENTS: I used this in a body scrub for myself and my family that is a variation of the mechanics scrub. I substituted the aloe oil for rice bran oil, and use the mild pumice instead of the regular pumice and scented the scrub with a Mediterranean spa fragrance oil that I had. I turned out very nice and does a great job of getting rid of the dry skin. It can even be used on the face without being too abrasive. I am very happy with this wonderful product and will purchase again. COMMENTS: Perfect for facial scrubs. A nice exfoliate without being too harsh. COMMENTS: This is excellent quality ground pumice. When mixing in with my MP base it felt like stirring nails on the chalkboard - that's how gritty it feels! It works great and provides perfect exfoliation. One thing to consider when using this in soap is that if you use too much, the color of your soap will turn grayish from all the pumice. I used this in my working hands and gardener's soap with great results! COMMENTS: Pumice powder provides mild exfoliation to my facial masks and scrubs. It is a definite ingredient to my facial masks and facial scrubs. It is very fine so it is great for sensitive skin. My customers love my products that contain this and I do as well. COMMENTS: I use this in my Gardener's Soap. It gently cleans and exfoliates, My customers love it! COMMENTS: I use this with the WSP basic shower gel, put some peppermint FO in the batch and call it Mechanic's Soap. It sells like crazy. My prices are better than a competitor for basically the same items. I could not have half my sales without this pumice. "Great addition for gentle exfoliation"
COMMENTS: This pumice powder is super fine and gentle enough to use in my sensitive skin facial masks. It's a great addition for exfoliating gentle areas. COMMENTS: I use this in some of my specialty soaps and it works very well. My customers say that after using the soap that their skin feels so soft. I will continue to buy this item. COMMENTS: This works perfect for my mens scrub. Super fine to get the dirtiest of hands clean! COMMENTS: I love the fine grain of this pumice powder. I've used others in my m&p soaps, but this one is much finer and blends with the soap so much better. The feel of finished soap is also smoother, and I feel safe using it on very sensitive skin such as my face. I combine this exfoliant with two others in a gardener's scrub bar that is very popular with my farmers market customers. COMMENTS: This works GREAT for that added exfoliation without over doing it. "Great for making gardeners soap or soap for men!" "Can this be used on lips for a lip scrub?" Staff Answer Even though it is a super fine powder, it is still fairly harsh. Also, should this get into the mouth, it may not be very pleasant. You may want to choose another scrub such as white or brown sugar, coffee grounds, jojoba beads, etc. "If I want to use this as a substitute for sugar scrub cubes (MP base, oil, and pumice instead of sugar), which do I follow: the usage percentage for soap or the usage percentage for scrubs?" Staff Answer You would follow the scrub usage levels. You may want to add more depending on how scrubby you want your product to be. You will need to test this once the product is made. "What is the mesh size of the Pumice Powder?" "How much (maximum) of the Super Fine Pumice Powder can I use with 1 lb Melt & Pour Goat Milk Soap? What would be the minimum to use in same recipe?" Staff Answer The usage rates for soap would be between 025%-0.50% which equates to 0.04-0.08 ounces per pound of soap base. "Can this be used for face scrubs?" Staff Answer Yes, per our website, this pumice is ideal for gentle face washes. It can be used in scrubs as well. For Scrubs, the recommended amount is between 0.1-3%. 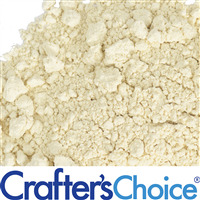 This Pumice Powder provides very fine, mild exfoliation properties. "Is this comparable with a 120 grit size? " "Where is pumice derived from?" Staff Answer Pumice is a volcanic ash which is formed when lava is permeated with gas bubbles during the solidification process. Because lava has similar properties and chemical make-up as glass, pumice is very abrasive but unlike glass, it is very soft. Pumice is the softest abrasive media in use today. All Natural.